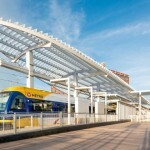 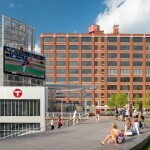 Pictorial> Minneapolis' downtown transit hub by Perkins Eastman, "green central" - Archpaper.com Pictorial> Minneapolis' downtown transit hub by Perkins Eastman, "green central"
Minneapolis hosted the Major League Baseball All Star Game this year, and many of the 41,000 people in attendance used some new public transit to get there. 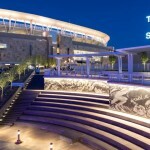 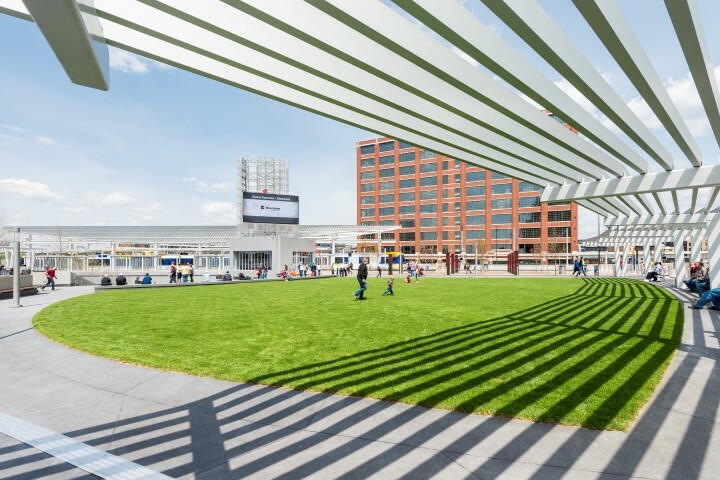 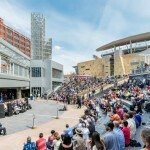 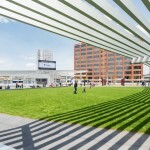 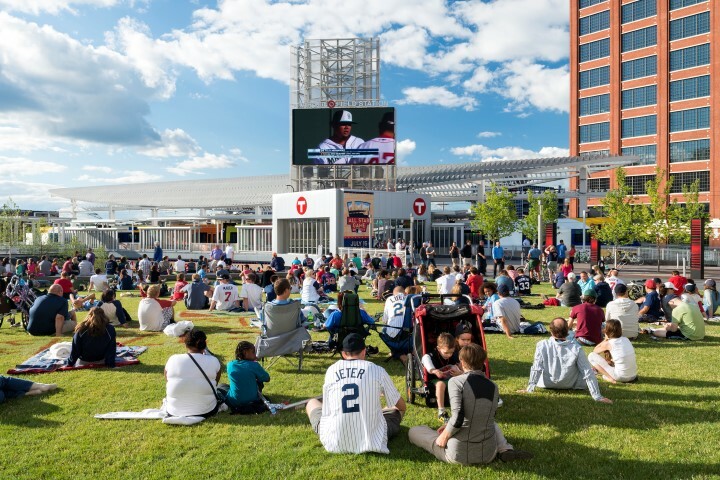 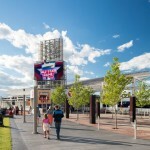 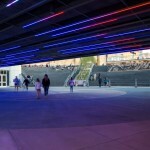 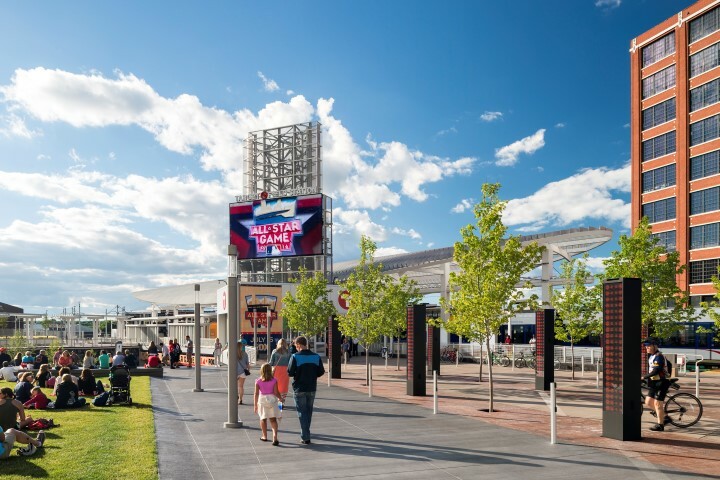 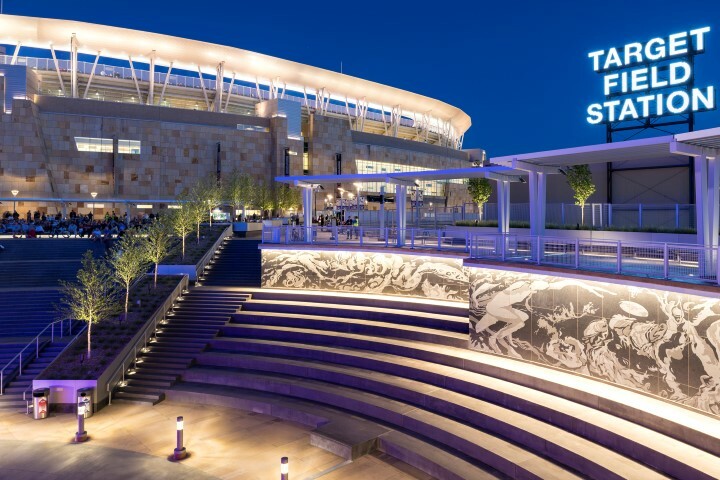 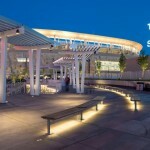 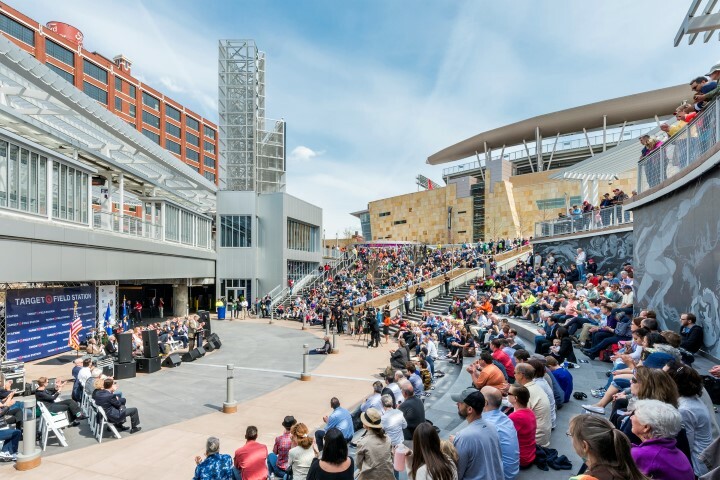 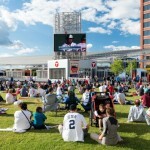 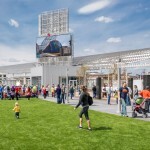 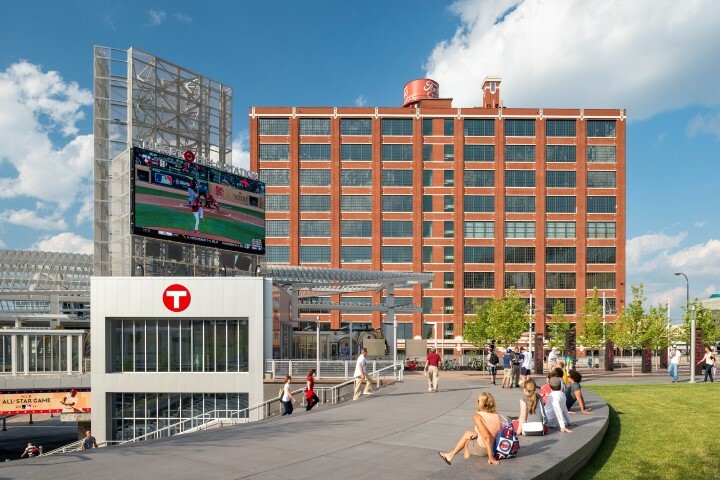 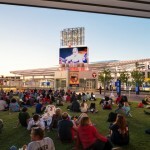 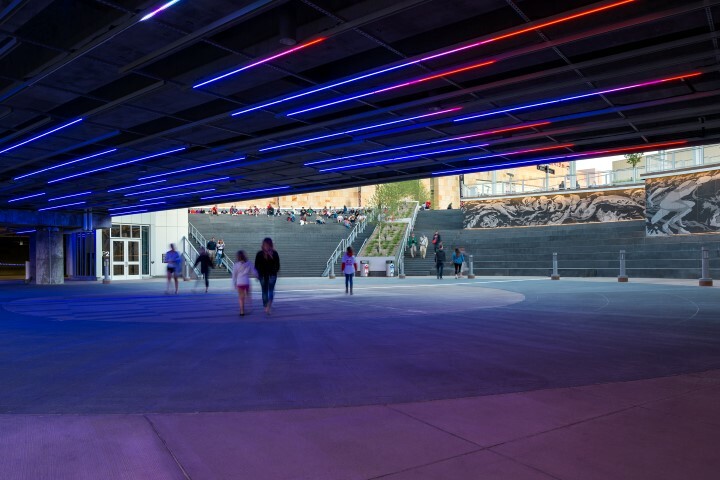 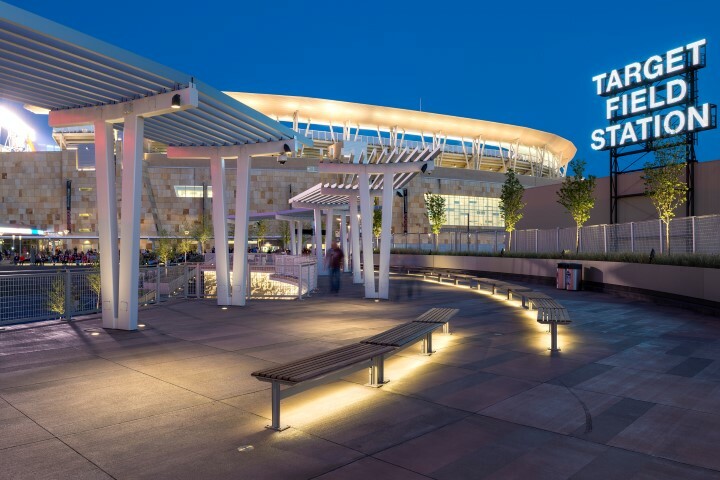 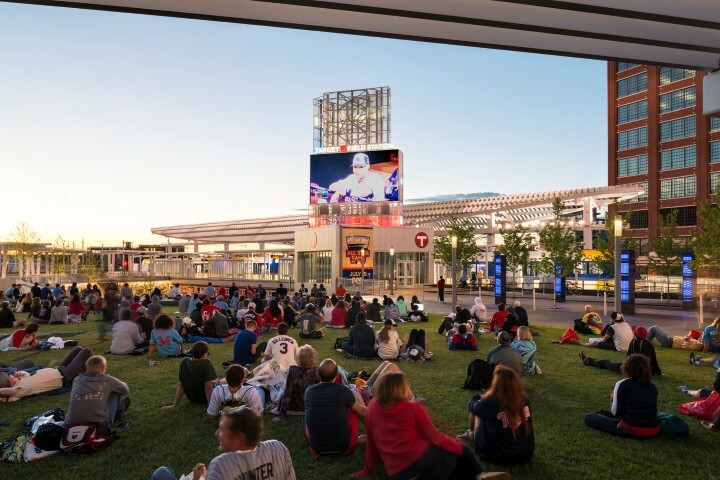 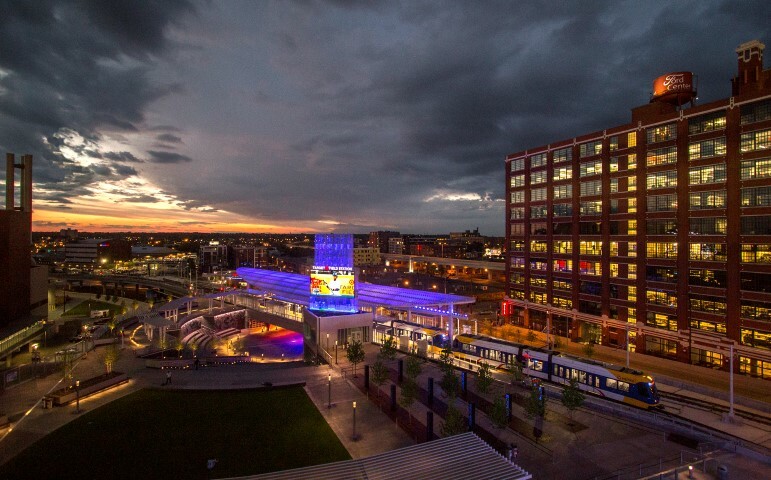 In May the city opened Target Field Station—a multimodal transit hub and public space at the foot of the Twins’ Target Field that designers Perkins Eastman hope will catalyze development. 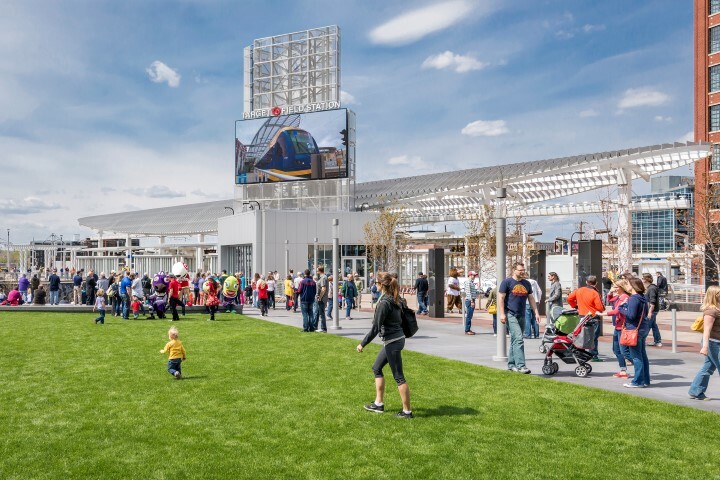 Their bet appears to be paying off, as nonprofit marrow donation organizer Be The Match is moving ahead with a $60 million headquarters next to the new station. 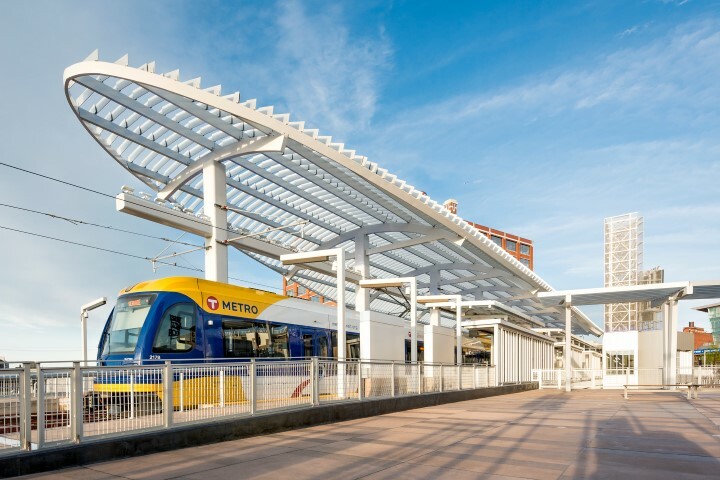 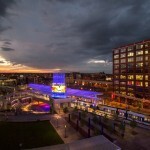 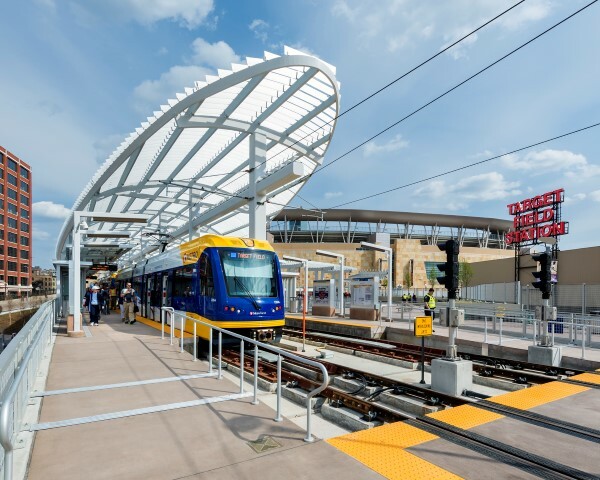 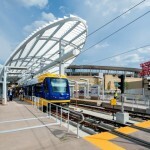 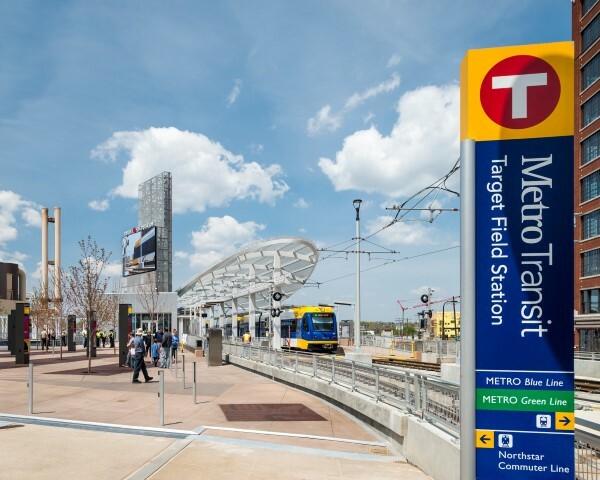 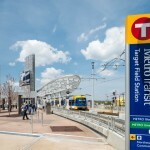 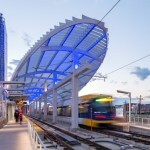 The METRO Green Line, which stops at Target Field Station, this year opened its long-awaited route to St. Paul—the first inter-city light rail connection between the Twin Cities in decades.